This groundbreaking combination of storytelling, music and technology will be sure to get your heart racing! Why See iLuminate Artist of Light? Get ready for a sensory experience like no other! Gifted innovator, director, producer and playwright Miral Kotb was struck by lightbulb idea when attending an Apple conference in 2009 - what if she could control lights on dancer's bodies from the palm of her hand? 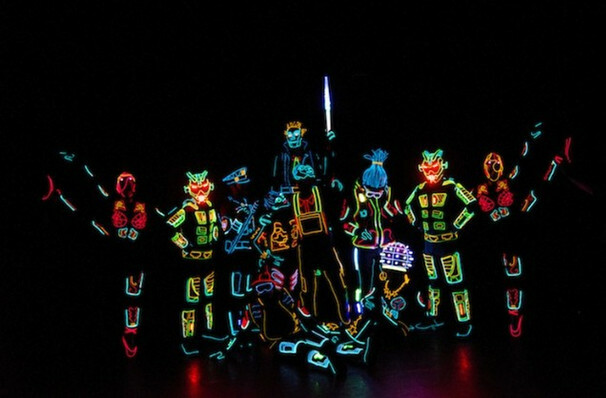 Just under a decade later, Kotb has exceeded her initial explorations and her dance company iLuminate is bringing their electrifying marriage of music and technology to the stages of North America in Artists Of The Night. Going far beyond your typical song and dance tuner, Artists Of The Night fuses modern dance with expertly-timed lighting technology to conjure a group of neon-haloed 20 somethings who navigate their pulsing city by leaping, flying and whirling to an EDM soundtrack. Narrated by Cop, a Bboy who keeps peace in the streets with jackhammers and headslides, the story follows the timid young artist Jacob, who wields a magical paintbrush with the ability to turn the subjects of his vibrant paintings into real entities. Throw in a dash of romance and plenty of breathtaking dance, and you've got a recipe for a thrilling evening! 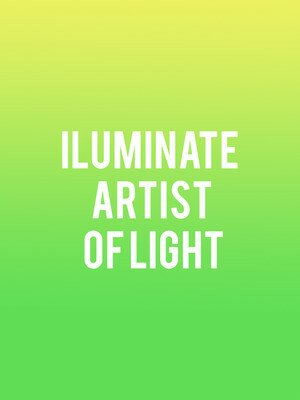 Seen iLuminate Artist of Light? Loved it? Hated it? Sound good to you? Share this page on social media and let your friends know about iLuminate Artist of Light at Bergen Performing Arts Center. Please note: The term Bergen Performing Arts Center and/or iLuminate Artist of Light as well as all associated graphics, logos, and/or other trademarks, tradenames or copyrights are the property of the Bergen Performing Arts Center and/or iLuminate Artist of Light and are used herein for factual descriptive purposes only. We are in no way associated with or authorized by the Bergen Performing Arts Center and/or iLuminate Artist of Light and neither that entity nor any of its affiliates have licensed or endorsed us to sell tickets, goods and or services in conjunction with their events.